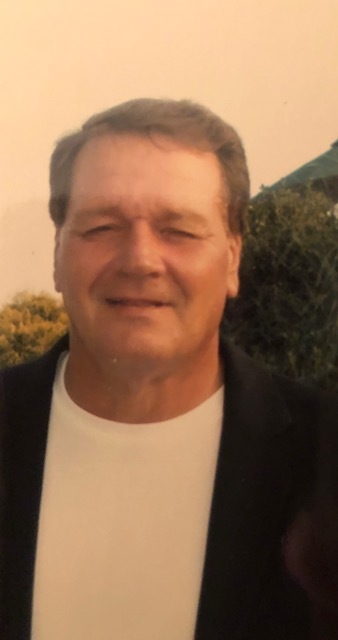 Donald Eugene Hall, 69, of Millsboro, DE and formerly of Middletown, DE passed away on September 2, 2018 at Beebe Medical Center in Lewes. He was born in West Grove, PA on July 6, 1949 to the late Paul A. and Mary Elizabeth Nickle Hall. He was a retired manager from the Safeway Company. Donald attended Zoar United Methodist Church. He was an avid golfer in Maryland and Delaware. He participated in the Millsboro Senior Golf League, and formerly was a member of Sussex Pines Country Club in Georgetown. He loved fishing off the dock in his backyard as well as surf fishing. He was an Eagles and Phillies fan. He was very laid back, kind, person. He enjoyed walks and playing with his dogs. Donald is survived by his two children: Gregory S. Hall (Karen), of New Castle, DE; and Kristen Rogers (Paul) of Warner Robins, Georgia. He has two sisters: Linda Flinn, and Yvonne Hall, and her companion, Charles Wood. Also surviving are two brothers: Paul A. Hall (Debbie); and David C. Hall(Sandy); along with five grandchildren, numerous extended family members, and his beloved canine companions. A memorial service and Celebration of His Life will be held on Wednesday, September 12th, 2018 at 2:00 PM at Union United Methodist Church, 345 School Bell Road, New Castle, DE. In lieu of flowers, the family suggests memorial contributions to either the American Cancer Society, or to the Juvenile Diabetes Foundation.